Since its inception in 1971, the U.S.’s war on drugs has cost more than USD one trillion, yet it has failed to rein in the drug epidemic. The war on drugs has dramatically overcrowded prisons in the U.S., which now has a higher incarceration rate than any other country in the world. The U.S.’s rabid demand for drugs and Mexican cartels’ demand for U.S. weapons have exacerbated drug-related violence and corruption in Mexico and Central America. Despite exhortations from academics and politicians, the current administration refuses to allow any intellectual space for debate on U.S. drug policy. June 17, 2011 marked a little-known, yet significant, anniversary in U.S. history – the U.S.’s war on drugs turned an infelicitous 40. Four decades, one trillion dollars and hundreds of thousands of lives later, we must pause and reevaluate not only whether this war’s costly means justify its ends, but if its methods actually work. 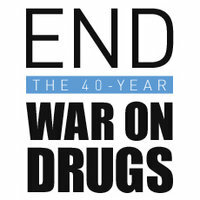 President Richard Nixon initiated the “war on drugs” in June 1971, when he denounced drug abuse as “public enemy No. 1.” With this pronouncement, he catapulted the country into a decades-long stalemate founded largely on fallacious data, virulent prejudices and ill-calibrated policies. Despite personally appointing the members of the National Commission on Marihuana and Drug Abuse, President Nixon refused to read the 1972 report in which the authors advocated decriminalizing marijuana for personal use., Instead, he categorized marijuana as a Schedule I substance, an official classification for narcotics with “high potential for abuse [and] no currently accepted medical use in treatment in the United States.” Shortly thereafter, in July 1973, President Nixon created the Drug Enforcement Administration (DEA) to consolidate government agencies and coordinate the war on drugs. Throughout the remainder of the ‘70s and into the ‘80s, U.S. drug policy vacillated with changes in national leadership and societal mindsets. In the 1970s, eleven states decriminalized marijuana possession. Notably, President Jimmy Carter’s 1977 election platform included a proposal to decriminalize marijuana and channel residual anti-drug hysteria toward creating addiction treatment programs. Conversely, from 1981 to 1989, President Ronald Reagan intensified the war on drugs through measures such as the 1984 “Just Say No” campaign, spearheaded by First Lady Nancy Reagan, and the 1986 Anti-Drug Abuse Act, which appropriated USD 1.7 billion to the anti-drug war. The attention and resources that the Reagan administration devoted to the war on drugs caused incarceration rates to skyrocket. Since 1971, this forgotten war has glutted itself on over USD one trillion. In 2010 alone, Washington spent over USD 51 billion fighting the war on drugs. The federal and state governments have thrown billions of dollars at prosecuting young, first time, or non-violent drug policy offenders, rather than devoting these resources to rooting out the true sources of drug addiction. For example, New York City is the marijuana arrest capital of the world, and the state’s taxpayers spent USD 75 million on the 50,383 marijuana possession arrests made in 2010. Yet, the Marijuana Reform Act of 1977 decriminalized possession in New York. Even the most staunch anti-drug advocates must acknowledge that it is more economically sound to fine non-violent offenders for mere possession of marijuana, thereby at least bringing in some revenue, rather than wasting public funds on thousands of unnecessary arrests and court cases. Despite its astronomical price tag, the war on drugs has not significantly mitigated drug abuse in the United States. Prohibition has not decreased the ubiquity of drugs, as 42% of the country’s adults have tried marijuana at least once. Actually, drug abuse has increased in the past decade. From 1998 to 2008, opiate use in the U.S. rose by 34.5%, cocaine use rose by 27% and cannabis use rose by 8.5%. And, lamentably, as of 2008 drug overdoses comprised the second leading cause of accidental death in the United States. These collected statistics reveal that as long as demand remains, traffickers will manage to smuggle drugs into the country. The most blatant indicator of the war on drugs’ failure has been the deterioration of U.S. prisons, which are often horrifically overcrowded and devastatingly expensive to maintain. Although the U.S. is home to less than 5% of the total world population, its jails hold almost 25% of the planet’s inmates. In 1980, approximately 50,000 U.S. citizens were placed behind bars for drug-related offenses. This figure has risen by an alarming 1,100%, as now over half a million U.S. citizens are incarcerated for drug-related crimes. Furthermore, 46% of all of the drug arrests made in the U.S. in 2009 were for charges of marijuana possession. The overflowing correctional system bleeds state and national budgets dry. In New York State, it costs USD 45,000 to incarcerate a drug offender for one year. However, one year of treatment costs only USD 15,000, making this option more economical and humane. Similarly, while the average annual cost of incarceration is USD 29,000, the average annual cost of public college is only USD 12,113. The U.S. now spends so much money on jailing drug “criminals” that it forces itself to neglect its educational system. For example, in the past decade Arizona’s spending on prisons has increased from 8% to 12%, while it has decreased funding for state universities from 12% to 8%. Comparably, from 1980 to 2010, California’s spending on prisons increased from 3% to nearly 11%, while funding for higher education decreased from 10% to 7.5%. These disparities reveal gross misallocations of both resources and priorities. Rather than pouring money into floundering penal systems, states would be prudent to invest in drug education programs, counseling services and after-school activities. The U.S.’s drug addiction and its range of prohibitive policies have been detrimental to its standing abroad. Statistics on firearm and narcotics trafficking between the U.S. and Mexico are themselves highly politicized, and therefore unreliable. However, incontestably, the U.S. does provide many of the weapons that fuel Mexico’s drug wars, and U.S. drug consumption earns Mexican drug cartels between USD 18 and 39 billion annually. As Mexico’s death toll swells higher and higher, we must recognize that our bad habits breed mortal consequences. Since Mexican President Felipe Calderón cracked down on drug-related crime in 2006, body counts have risen dramatically and consistently. The violence in 2007 culminated with a toll of 4,300 dead, increasing to 15,273 casualties in 2010. Tragically, the hemispheric drug trade has claimed approximately 38,000 deaths in total, and 2011 may prove to be the bloodiest year of all. The war on drugs has inimically nurtured the narcotics trade and spread its inherent brutality and disorder to Central America. During the heyday of notorious Colombian drug lord Pablo Escobar in the early 1980s, much of the cocaine reaching the U.S. traveled through the Caribbean to enter the country in Miami. In the mid-‘80s, the United States Coast Guard shut down this route, and today the hemisphere’s drug traffic runs primarily through Central America and Mexico before crossing the U.S.’s southwestern border. Crackdowns on illicit narcotics in the U.S. and Mexico have put pressure on the drug trade, causing it to expand in the south. Honduras, El Salvador and Guatemala are now among the most violent countries on earth, with homicide rates of approximately 68, 61 and 46 murders per 100,000 people, respectively. This instability tears at the threads of society in these nations, which are much smaller and weaker than Mexico. For instance, Guatemala’s judicial system cannot handle the recent upsurge in violence, and as a result punishes only one out of every 20 murders. The growing violence in Central America provides further evidence that U.S. drug policies do nothing to diminish the demand for, or production of, illicit narcotics. Albert Einstein defined insanity as “doing the same thing over and over again and expecting different results.” Since 1971, the United States has pushed and repeated the same ill-founded, expensive and ineffective drug strategy. Forty years later, we must reevaluate the antiquated strategy of marginalizing and criminalizing all drug users. It is time for the federal government to remove marijuana from its list of Schedule I substances and acknowledge, once and for all, that it has medical value. While the immediate legalization of marijuana might not be prudent, Washington must at least decriminalize the substance and begin to debate the possibility of legalization. Truthfully, the war on drugs has emptied the U.S.’s coffers while filling its prisons, exacerbated brutal drug wars in Latin America, and even aggravated the U.S.’s HIV/AIDS epidemic. In the past month, political luminaries including former U.N. Secretary General Kofi Annan, and former Presidents Jimmy Carter (U.S.), César Gaviria (Colombia), Fernando Henrique Cardoso (Brazil) and Ernesto Zedillo (Mexico) have labeled the war on drugs an outright failure, and called for its end., Yet Washington has blithely ignored these recommendations, most notably disregarding the June 2 Report of the Global Commission on Drug Policy. Ironically, in 2008 then-Senator Barack Obama uttered a very succinct call for the paradigm shift U.S. drug policy so desperately needs, when he stated, “Anybody who has seen the devastating impact of the drug trade in the inner cities, or the methamphetamine trade in rural communities, knows that this is a huge problem. I believe in shifting the paradigm, shifting the model so that we can focus more on a public health approach.” Yet what has President Obama done thus far to fix the broken U.S. drug policy? Very little. Until Washington creates the intellectual space necessary to debate and reform drug policy, society will continue to throw funds at an unwinnable war that locks up non-violent offenders at home and feeds a monolithic consortium of ruthless cartels abroad, all at a prohibitive cost. The references for this article can be found here. ← Bolivia and its Lithium: The Next Saudi Arabia?